Our Correspondent ●Michigan: It was a really different day for farmer James Bristol of Lima Township in Michigan. 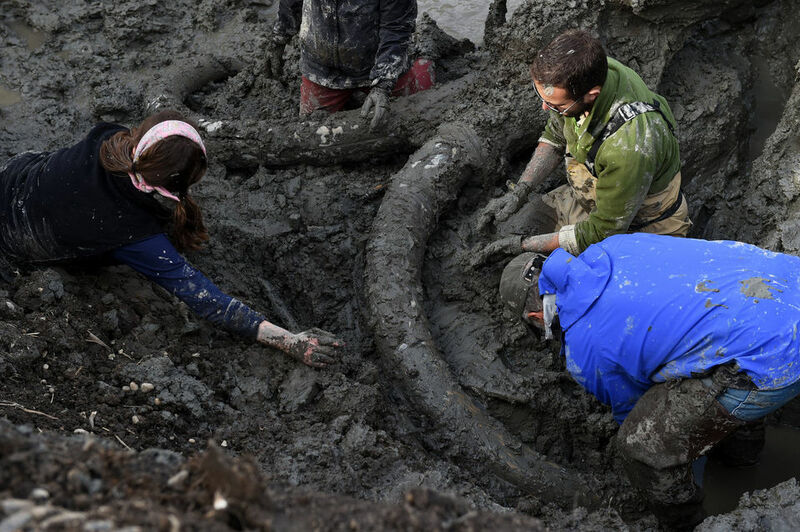 He, on last Wednesday (30 September), discovered large tusks of a mammoth while working on the field. Later, the researchers of the Michigan University confirmed those as mammoth’s bone and other remains. They said that the giant animal had died approximately 11 to 15000 years ago but could not specify reason of its death. 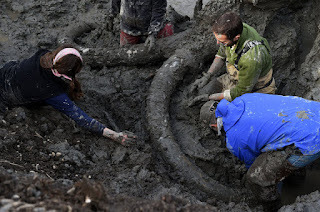 They presumed that some organs of the mammoth had been cut off by some professional hands and it was an act of humans. But they could not sure about whether that was done by the people of primitive era. Researchers need more time to examine the bones discovered at the site before drawing any conclusion, they informed. Meanwhile, Bristol along with people from his neighbourhood are surprised and as well as shocked with the discovery. They want the mystery behind death of the gigantic species to be solved as quickly as possible.